Started as a Multi-eventer in her early years with Avon Schools representation at English Schools Championships. Dabbled with a number of events but finally settled on Triple Jump whilst at University. Coached by her dad and Yate coach, Kevin Barry. In 2006 Sara represented Ireland in the European Cup, held in Prague. 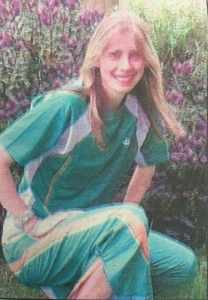 In 2018 she was ranked 60th in the UK All Time Senior Triple Jump rankings (56th Indoors).